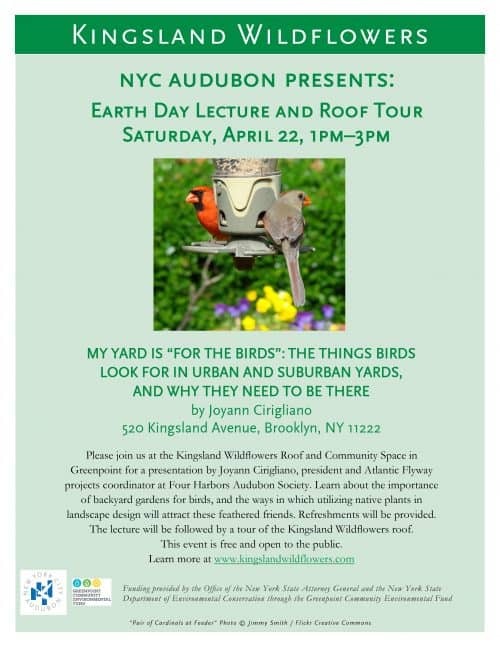 Kingsland Wildflowers Roof Tour And Earth Day Talk This Saturday! This Saturday at the Kingsland Wildflowers Roof and Community Space, NYC Audubon is presenting a talk from Joyann Cirigliano, president and Atlantic Flyway projects coordinator at Four Harbors Audubon Society. Learn about the importance of backyard gardens for birds, and the ways in which using native plants in landscape design will attract these feathered friends. 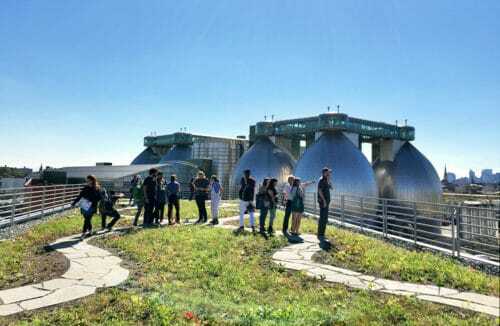 The lecture will be followed by a tour of the Kingsland Wildflowers roof. Refreshments will be provided. This event is FREE and open to the public. 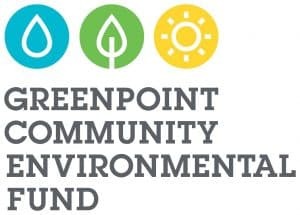 Funding provided by the Office of the New York State Attorney General and the New York State Department of Environmental Conservation through the Greenpoint Community Environmental Fund.